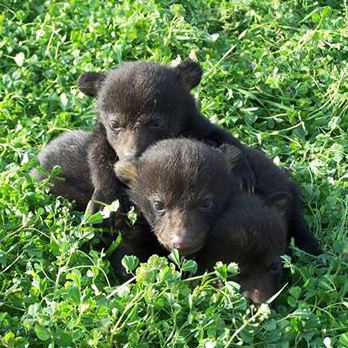 Louisiana Black Bear in danger of prematurely being de-listed from the Endangered Species List! Can you help lend your voice? See instructions below from Atchafalaya Basinkeeper on how to submit your comment. Hurry, deadline to comment is JULY 20! Sierra Club – Delta Chapter (Louisiana) stands with Atchafalaya Basinkeeper, Black Bear Conservation Coalition, Gulf Restoration Network, and others to ensure this species rebounds to a sustainable population. The Louisiana black bear needs your help! The U.S. Fish and Widlilfe Service, under pressure by the State of Louisiana, is trying to remove our Louisiana black bear from the federal Endangered Species list, despite not meeting the recovery goals that were established when the bear was listed as threatened in 1992. The Black Bear Conservation Coalition (BBCC), Atchafalaya Basinkeeper (ABK), Delta Chapter Sierra Club, Gulf Restoration Network, and other groups are opposing the delisting. ABK’s comments are here:http://basinkeeper.org/Blackbeardelisting6.25.15.pdf The BBCC’s comments are here: http://basinkeeper.org/BBCCcommentsondelisting.pdf To send your own comments and read other comments, please see below (Please feel free to borrow anything from ABK’s comments to write your own). Thank you helping to protect these majestic animals!